Once in a while I misjudge a cigar and this Inferno 3rd Degree from Oliva Cigars really caught me off guard. With the first whiffs from the cold foot I could tell this was a full bodied cigar, but the initial aroma mix had some bold spice. Spice in the cold aroma mix, Inferno for the name? I thought, "oh oh, pepper bomb". That assumption was totally wrong. Once burning I discovered it wasn't a pepper bomb at all. What I did experience from the Famous Smoke Shop exclusive Inferno 3rd Degree cigar was sixty-five minutes of full bodied, full flavored bliss. The Inferno 3rd Degree contains all triple-fermented Nicaraguan tobaccos covered in a stout Maduro colored Habano Nicaraguan wrapper that's nearly vien free. From the cold foot the rich aroma contains notes of raisins, cocoa and spice, while the firm cold draw has flavors of bold spiced fruit. Once burning the first puffs of meaty, chewy, full bodied smoke had delicious flavors of coffee, cocoa and fruit. A perfect mix for my palate. In the second third, added notes of earth, toast and leather joined the mix. As the razor sharp burn moved into the final third the flavors changed again with notes of charcoal, coffee and chocolate. 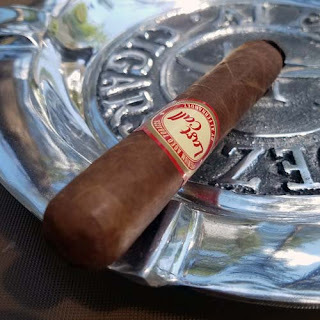 This cigar was a real chocolate bomb and it provided a long, great tasting, burnt mocha finish. 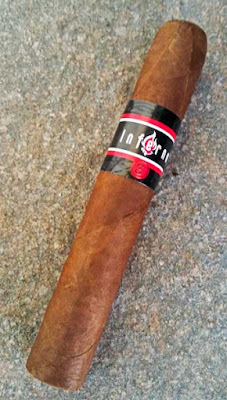 Overall I thought this Inferno 3rd Degree was a real power-house cigar that provided a deep, rich, full bodied flavor mix with smoke so thick you can nearly chew it. With sub $4.00 price point each in boxes of 20 this cigar is a real winner! You can pick up these exclusive Inferno 3rd Degree smokes here. I would like to thank Famous Smoke Shop for providing this sample for review.